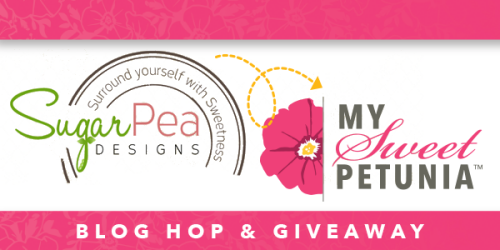 Sugar Pea Designs & My Sweet Petunia Blog Hop and GIVEAWAY! The My Sweet Petunia team is hopping with Sugar Pea Designs today! Leave a comment on each stop on the blog hop for a chance to win a MISTI (winner’s choice of an Original or a Mini) from My Sweet Petunia or the Sugar Pea Designs giveaway of TWO $25 Gift Certificates! The MISTI winner will be announced HERE on the My Sweet Petunia Blog on April 28th. The Sugar Pea winner will be announced at the Sugar Pea Designs Blog. If you’ve arrived from Isha Gupta‘s blog you are in the right place. If not head on back to the start of the hop at My Sweet Petunia blog. 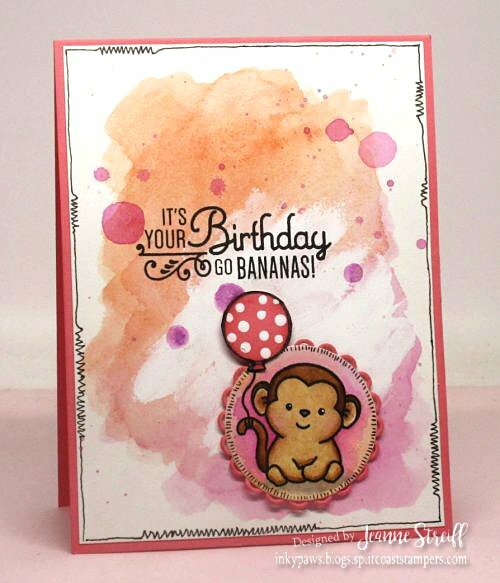 My card uses the super cute Chunky Monkey stamp set and my Mini MISTI. 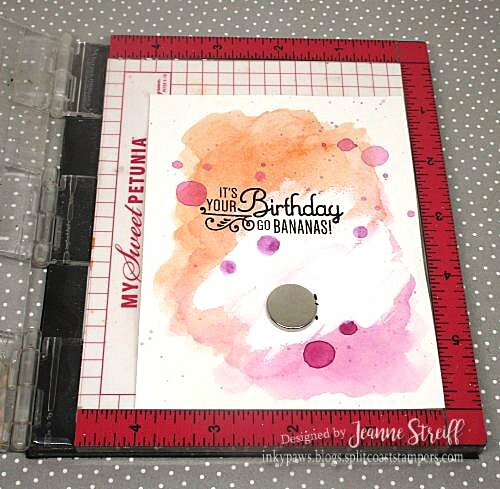 This entry was posted in Big Shot/Big Shot Pro, Birthday, Holidays and Occasions, MISTI Tool, Sizzix, Sugar Pea Designs. Bookmark the permalink. I love this little monkey. All the stamps of this set are great! Thanks for sharing how you used the Misti, too. Such a fun birthday card! Love the background! Cool card. I really like the watercolor background and the monkey is so cute. Great card. Love the playful monkey and the background you painted! Such a beautiful card!! Love the watercolored background! What a delightful card, I really like the stitching. Thanks for sharing how you use your MISTI. Way to cute! love this card! Would love to win … such a wonderful tool. Really fun card. Love the background! Sweet card! Love your background! Cute card. Nice touch with the balloon tied to his tail. Great card. Would to see how you created the background. Chunky Monkey is one of my favourite sets! This is so super cute Jeanne! great card – loving that monkey! I love color wash. Fabulous card. I love your card and the monkey. That stamp set is now on my wish list! Oh Jeanne, this is so sweet. I love the Chunky Monkey set! Love this little monkey and the great background! Think I might need these monkeys! Very sweet card. I adore that monkey stamp! Adorable card, love your background! Cute card. The background is really nice. The chunky monkey set is so fun. Super duper cute! Love the fun background! That Chunky Monkey stamp set is too cute. Your card is super cute and I love, love your background!! Great background for this super cute Chunky Monkey! Love your little monkey card. Great background and design idea. I love this cute little monkey and his polka dot balloon! Sweet card. I love the image and the colors. super cute card, thanks for sharing. You always inspire me to create–thank you. Oh goodness, the cuteness! Love the colors too! What a cute card. Really like the water color background. This stamp set is adorable. Super adorable card!! I think I musy put the Chunky Monkey on my wish list!! Love the background-the colors are fabulous. 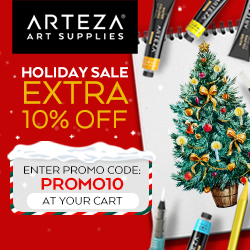 Your coloring is terrific, and I like all of the details on your card, like the fun border! Great background for this cute monkey. I like the polka dot balloon. Very cute. Thank you for your time, talent and willingness to share your ideas. Love your adorable monkey, cute card! Very nice background colors. 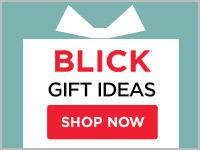 Your card is great. The little monkey is adorable. Such a darling card, Jeanne. Love the watercolor background and the detailed edging. The monkey is way cute too. I really love the background on this cute card! So cute! Love the sentiment! Your card is wonderful… I love the background. That monkey us a cutie too! Great background and that little monkey is too cute! Really like the way you water colored the background. Little Monkey is adorable! Makes you smile! Thanks! Wonderful free form background. I love how the Misti allows you to line up sentiments perfectly. Oh My Gosh! This is just adorable.. love the spattered background showcasing this little guy and his balloon.. and how fun to be able to always have a perfectly straight stamped sentiment….Thanks the the MISTI!! your card is super sweet I love the background! Lovely card. This stamps set is definitively a must-have as well as the Misti ! That Chunky Monkey stamp set is too cute! Thanks for sharing! I love your background and the Chunky Monkey set is super cute! Thank you for the inspiration. Adorable card! I love your watercolor background! Adorable card and I love the background! I love how easy the MISTI makes stamping the sentiment too. No more ruined cards at the end! Great job. Darling little monkey & card! You already know thus considerably on the subject of this matter, produced me individually believe it from a lot of numerous angles.